“Original version, original learning” by our teacher Emma Hearle. There are 1 billion people in this world who are just like you. One billion people trying to conjugate verbs. One billion people trying to understand the difference between much and many. One billion people trying to pronounce TH and make it sound natural. Yes, that's right, one billion people trying to learn English. But you could benefit so much from taking learning out of the classroom; doing what you love in your own language and simply doing more of it in English and improving your language skills at the same time. Watching both new films and titles you already know and love in original version is a incredible way of improving your English as well as being motivating and enjoyable. Most cinemas in Spain still dub the vast majority of Hollywood and British films but finding somewhere that shows original version is a great way of learning more English without realising. 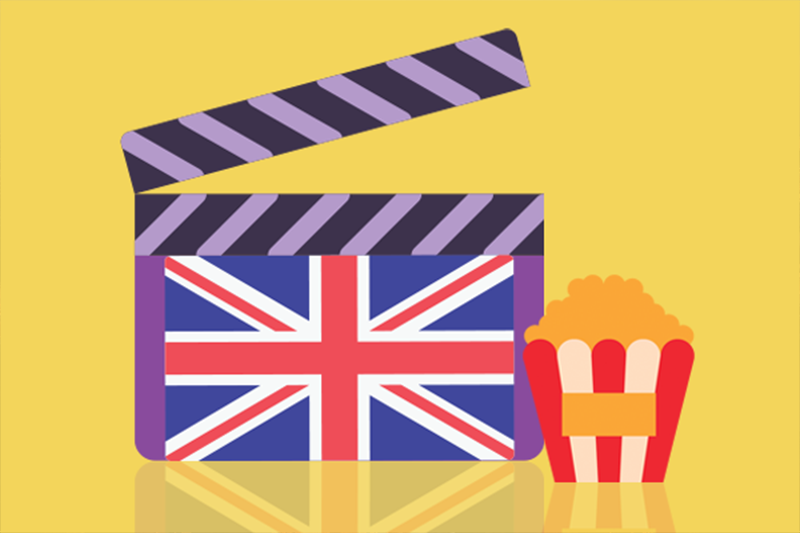 You can enjoy watching your favourite actors speaking their native language and doing what they do best without losing any of the performance from dubbing it into Spanish or Catalan. There’s nothing worse than a voice-over artist having the completely mismatched tone, pitch or intonation as they provide the voice for an Oscar winning, Hollywood actor. You’ll soon wonder why you haven’t always done this, plus if it’s a little too difficult to understand you could always watch with the subtitles to help you get more from the experience. 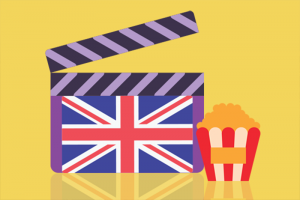 Cambridge School also sponsor films in English at three cinemas in the Vallès Oriental. You can watch dynamic, award winning titles as well as more niche films in original version films at specialist cinemas in Granollers, Cardedeu and Sant Celoni. Motivation is one of the most important factors in determining successful second-language acquisition. Films and also TV series are an integral part of our lives so it makes perfect sense to bring include them in our learning experience. They can make the process more entertaining and enjoyable and provide authentic and varied language. They also provide a source of authentic and varied language and provide examples of English used in ‘real’ situations outside the classroom, particularly interactive language - the language of real-life conversation. They expose you to natural expressions and the natural flow of speech and can assist your comprehension by enabling you to listen to language exchanges and see visual supports such as facial expressions and gestures simultaneously. These visual clues support the verbal message and provide a focus of attention. Take advantage of living so close to Barcelona, home to native English speakers from all over the world. A simple Google search will tell you where you can find events and productions in English, many of which are very affordable, if not completely free. Plus if theatre is more your thing for example, there are many theatre companies now performing revamped classics and original plays in English. Think Alice in Wonderland, Little Shop of Horrors and of course the quintessentially British tradition, the Christmas pantomime! If you want to improve your ​foreign language skills,​ the best advice would certainly be to ​read as much as possible​. Likewise, if you want to keep learning new vocabulary and improving your ability to express yourself in a foreign language, whether orally or in writing, it is strongly recommend that you read foreign-language stories or novels in their original version​ too. Even if you read something in your native language a long time ago, you will still have the general idea of what it is about, which will help you incredibly in picking up context clues and learning new vocabulary. You’ll be focused less on what the story is about and more on the language. Listening to an audiobook while reading will help tremendously even if you don’t know every word that is being spoken. This is because it will help train your ear and get you used to the speed of a native speaker in the language. Another great idea is to read along while listening to an audiobook so that you can avoid missing some of the words. Many public libraries across the Vallès are offering more and more books and audio books in English and Cambridge school also have a library where you can borrow both books and films in original version to enjoy at home and put to use what you’ve learnt in class. Whatever you prefer, there’s no doubt something you can enjoy in original version. You’ll be surprised at how fun it can be as well as helping you feel more confident in English class and do better in your exams!